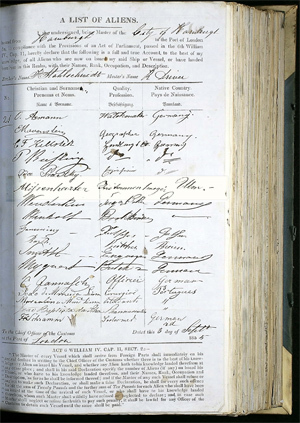 Charles Missenharter won many medals for excellence in Paris, London, Philadlephia, New York and San Francisco. "Pocket cornet (see example left) in brass with three rotary valves of german silver, signed "Medaille / LONDON 1862 / C.MISSENHARTER / STUTTGART" made c.1865. Bell diameter 9.7cm. Length 19.0cm. In original condition with a couple of minor dents in the tubing and others on the bell. The tuning slides do not slide. the upper covers to the valves are not a matched set. To be playable needs an overhaul. 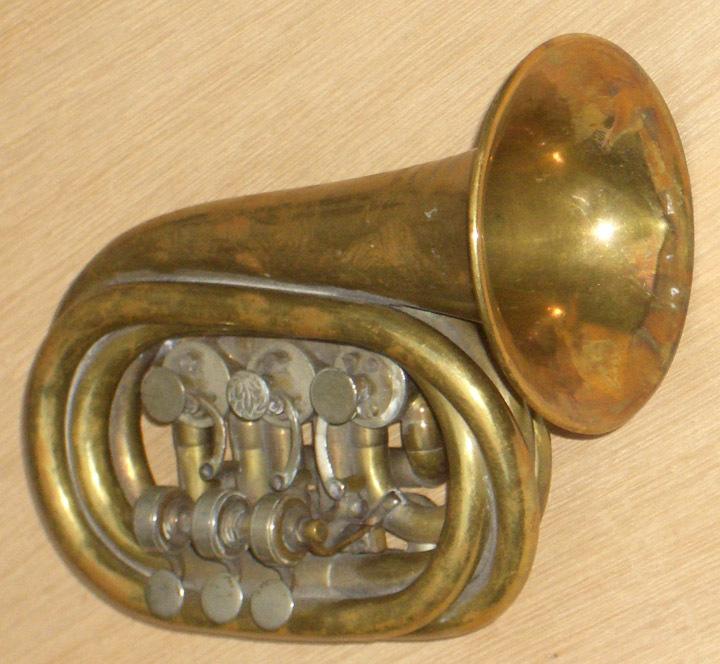 This is an very early example of a pocket cornet. Instrument #202 References "Voyage d'un Melomane a travers L'Exposition Universelle" 1862 by Le Comte Ad. de Pontécoulant, tells Missenharter was awarded a medal in the London Exhibition of 1862 for instruments in brass and german silver." The medals below are in a private family collection.